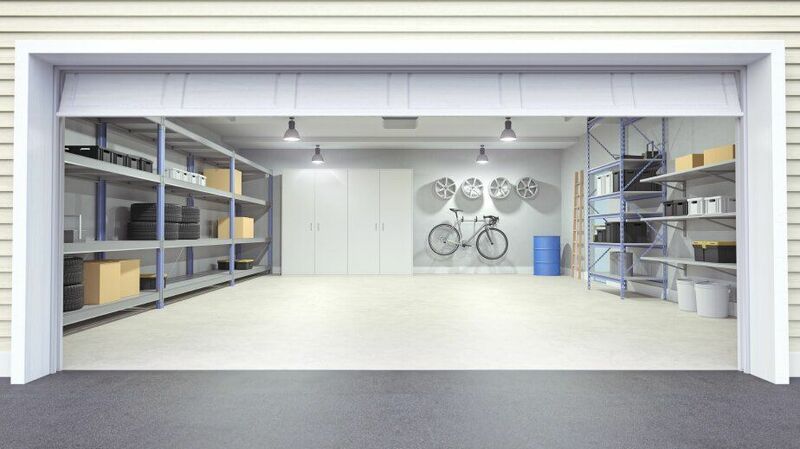 One of the best ways to gain a great new space in your home is to convert your garage. In fact, by converting your garage, you can easily add anywhere from 200 to 400 square feet of extra living space to your house. Many garages are converted into home offices, extra bedrooms, bathrooms or family rooms, depending on the size and position of your house. Most garages are relatively easy to convert as they already have a foundation, string exterior walls and a roof, so modifying this type of structure is obviously a lot easier than building a new extension from scratch. Whether you need a second living room or a home gym, your garage can be transformed into almost any type of space with a little effort and a lot of creativity. Get inspired with the simple garage conversion ideas below to come up with your own design plan at a price you can afford. If you have a big family or love to entertain, a garage conversion into a game or recreation room can be a perfect solution. Because you are dealing with a limited space, be sure to take measurements to figure out what types of games and you can accommodate. Poker and pool tables, as well as pinball machines are especially popular among adults. And children typically love air hockey, basketball, foosball and ping-pong tables. A bedroom garage conversion can make your house more spacious for you and more attractive to future buyers. Since bedrooms need to be designed based on specific local guidelines, it’s important to check the building rules in your area to ensure that you can legally build a bedroom in a garage. Building a real home theater room with a surround sound system and a big screen is a great garage conversion idea for homeowners who love the movie theater experience. To complete the look, decorate with a theater-style recliners and old-school posters. While all of the above ideas can be adjusted to fit your personal budget, getting an estimate for your conversion project is a smart choice. If you want additional help on planning your Scottsdale garage conversion, contact Republic West Remodeling today.